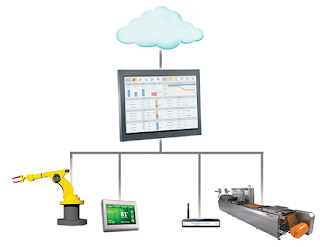 Alarm management is the most important yet overlooked aspect of industrial operations. Many companies do not even perform extensive analysis on their alarm system to identify its strengths and weaknesses, forget about investing time and resources. However, it is feasible to quickly improve alarm system performance by paying attention to some high benefit items. Are you alarming anything and everything? A true alarm requires an operator response, without that it is a false alarm or nuisance alarm. Ask yourself if all your alarms require operator action. If not, you may have some kind of alarm management problem. A good alarm is unique, easy to understand, and provides clear instructions to the operator. Defining alarm criteria, alarm setpoints, different alarm states and alarm deadbands can help create first layer of defence. It can also help reduce alarm overload and allow operators to respond to the most important alarms in a timely manner. Alarm priority: Imagine a scenario when the majority of alarms at your facility are set at ‘critical’ level or ‘High’. There will be a chaos in the beginning. But, what will happen in the 'long run' if corrective measure are not taken? Operators will become desensitized to alarms and eventually start ignoring alarms, increasing the chances of making a grave error. This happens often in facilities where alarms are not prioritized properly. Therefore, alarm system should be optimized in such a way that the number of high-priority alarms is significantly less than the low-priority alarms. Setting the prioritization of alarms enhances the operator’s ability to take the right action at the right time. He becomes aware of alarms that require immediate attention and the ones that can wait. This can lead to better control over operations, improved plant performance and reliability. Here is the alarm prioritization matrix, based on EEMUA 191, which you can refer to get some ideas. Also see the table below to find out annunciated alarm priority distribution. Alarm messages: Do your alarm messages make sense to the operator? Are the messages consistent, crisp, clear and concise? 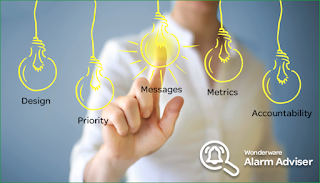 If not, identify what all is lacking and prepare an action plan to improve the quality of your alarm messages. Find out if the messages can be written in a better way; it is of no use if your operators are unable to understand and respond faster. The content of alarm messages should be uniform in structure, based on terms and abbreviations used by the plant engineers and control-room operators. Alarm messages are meant to inform operators about the problem areas within the plant and the actions that should be taken to address those problems. Sometimes companies are so busy evaluating and discussing features that they forget that something as simple as ‘message quality’ can have significant impact on the operator’s efficiency. This is completely in your control; you just have to pay little attention. Alarm metrics: Tracking alarm statistics is vital to any alarm management program because it allows greater visibility into the plant’s current alarms levels. Alarm key performance indicator such as total alarms, alarm rate, peak alarm rate, alarm severity distribution, and Pareto charts of the most frequent, fleeting and standing alarms provide deeper insight the system performance. Measure past few weeks or months of data and compare it with standards alarm guidelines or industry standards to see where you stand. The next step then will be discovering the areas of improvement. Source: EEMUA 191 ‘Alarm systems: a guide to design, management and procurement’ and ANSI/ISA-18.2-2009 Management of Alarm Systems for the Process Industries. Alarm Benchmarks: Industry Standards vs. Actual Industry Scenario – modern control rooms receive more than 1,000 alarms per day, which is much higher than what EEMUA 191 and ISA-18.2 recommend – 150-300 alarms/day or 1-2 alarms/10 minutes. Accountability: It is important to know who will be responsible to take action when alarms enunciate and what type of operator response will be needed for each alarm. Primary and secondary ownership should be made crystal clear, so that if the primary owner misses a critical alarm or is unable to respond, an SMS alert goes to the secondary owner. You must ensure that the right individual has the right access; this can be achieved with a system that allows different levels of access to the operator, the engineer and the facility manager based on their job requirements. However, every plant personnel should be allowed to view each other’s data for greater transparency and collaboration. Managing SCADA alarms within a plant is not the job of any one department alone. It is the shared responsibility of operations, controls, instrumentation or engineering, and all these departments are equally accountable. Responsibilities should be stated with clarity in the alarm philosophy document. Defining roles and responsibilities clearly ensures accountability; it helps avoid inter- or intra-team conflicts and confusion that arises during abnormal situations. A well-functioning alarm system provides deep insight into the functioning of the plant. It delivers actionable information to the operator, helping him make correct decisions on time. And alarms can be your closest allies in improving plant performance and profitability while reducing the risks of unplanned system downtime. It all depends on how well you are managing your alarm system. By paying attention to the most important and easy to implement aspects of alarm management, you can avoid common mistakes and make your plant more productive and reliable. Remember, alarm management is the key to the smooth functioning of your plant, so it deserves some serious attention and thought process. Manage your alarms or alarms will start managing you.